So you've decided that you've messed around for long enough, you're going to take the bull by the horns and really get your teeth into some bodybuilding workouts. But where do you start? Well, a bodybuilding gym is the obvious choice, although some experienced bodybuilders also do lots of exercises and bodybuilding workouts at home. Here are a few tips for the beginner to make sure that they get the most out of their bodybuilding workouts. 1* Even if your initial aim is to improve a particular area of your body it is important to focus on all major muscle groups. This includes the back, chest, quads, shoulders, hamstrings, glutes, triceps and biceps. If you do this your body will remain in proportion and you will build a good, symmetrical physique. If you don't do this it can lead to major imbalance problems and potential injury. 2* Practice the movements before attempting to lift the heavier weights. It does take time and practice to get the coordination right in many of these weight lifting moves so keep on practicing until they become second nature, then and only then should you attempt to lift any challenging weights. 3* Start with weights you can comfortably lift for around 15 reps per set. If the last couple of reps are difficult then you are taking steps in the right direction. 4* Each exercise should be performed in multiple sets. Start off with a relatively easy set or two sets of exercises to warm up and then move on to the more challenging sets. The maximum benefits are achieved after three or four sets of your exercise. 5* Take a rest between each set of exercises. During each set your muscles will fatigue so you need to give them a short period of time to clear out the buildup of lactic acid – it should only take a minute and a half to two minutes. Don't start on the new set until you can catch your breath and feel ready. 6* Make sure that you get plenty of rest between your bodybuilding workouts. You need at least 48 hours between workouts with that time increasing as you advance and increase your volume. This gives the muscles the time they need to repair and grow stronger for the next time you start pumping iron. 7* Aim to increase your workout by a small amount each time. As your muscles repair and grow then they need to be worked just that little bit harder in order to keep the momentum growing. If you stick to the same old routine with the same old reps then you'll hit a brick wall and won't progress any further. You need to either lift the same weight a few more times or lift a heavier weight the same number of times as you previously managed something lighter in order to maintain progress. 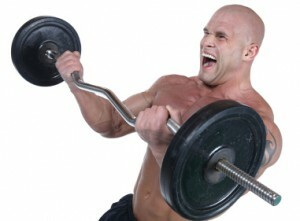 Follow these important tips and you should soon see the benefits of your bodybuilding workouts. Be strong, be fit and most importantly be safe. What Are The Best Bodybuilding Workout Routines For Men? How To Workout If I'm Skinny? Bodybuilding workout for skinny guys just requires constant training and eating of the right supplements. Skinny guys tend to see quicker and more permenant results.